PBB had a requirement to integrate 3 separate operations into one business unit. Recognizing the need to move to a common platform, we engaged Litcom to work with us. Litcom assisted us in determining our needs and conducted a Software Selection process to choose an integrated Transportation Management System / Financial Management System. Leveraging their proven Technology Selection process, Litcom helped us prepare a business case and project charter which formed the foundation of our Selection activity. Litcom led the project and provided subject matter specialists where necessary including Project Management Office and Change Management support. The project involved cross functional teams within our division and was organized and facilitated by Litcom resources. At the conclusion of the project, and after a rigorous investigation of various solutions, our project team selected the vendors who they believed would most effectively support our business. At that stage, we asked Litcom to continue to lead the process by conducting the Technology (Software & Hardware) implementation. To deliver this solution, Litcom involved the appropriate technology partners to build the infrastructure / communications environment. We operated under an extremely aggressive timetable for the implementation as we could not jeopardize the operation’s busy season. As such, the entire implementation had to go live within six months. This project involved 60 project team members from PBB, two major software vendors, multiple technology vendors / providers, over one hundred and fifty business users, and many suppliers who work with our company. Litcom effectively managed this complex project and delivered it on time and on budget. They proved to be easy to work with and were able to deal successfully with all project challenges. Despite this being a high pressure project, Litcom resources brought the right attitude and created the right environment to achieve success. 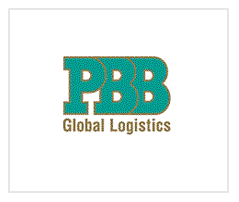 PBB Global Logistics is a leading provider of third party international logistics services, facilitating the movement of goods across North America and around the world. Founded in 1946, PBB has expanded its core Customs Brokerage and freight operations and now provides supply chain solutions, from the point of origin of goods to the point of consumption, as well as corporate travel management and professional trade services. With approximately 1,300 employees in over 85 strategic locations throughout North America and China, and an established global network of logistics service providers, PBB has the technology, expertise, and infrastructure to meet every supply chain need. PBB Global Logistics is a wholly owned subsidiary of PBB Global Logistics Income Fund with units trading on the Toronto Stock Exchange under the symbol PBB.UN.